Rie Nagumo is a tokyo based accessory designer,educator and author. Schooled at the Tokyo Zokei University. She began producing accessories after an internsip in Firenze Italia. And is the auter of several books on accessory design and production. 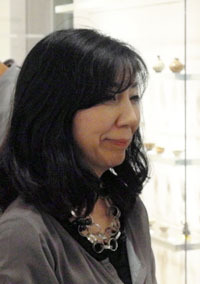 She foundes "Rie Design Studio" in 2002.